I’ll present via Skype at the Western New York Romance Writers meeting at 1 pm EST on January 19, 2019. We haven’t finalized the topic yet; I’ll keep you posted. If you’re a romance writer in western New York, you might want to check out this excellent group at http://wnyrw.org/ Do it soon and you’ll be in time to join their December holiday party. If you’d like me to visit your writer’s group or present to your organization, we can do it in-person or via Skype. Send me an email or visit my website. Video of my TEDx Mahtomedi 2015 Talk is available on YouTube. Did you read my article Why Weird Writing Rituals Work in WOW and my article in the Huffington Post? To the hundred or so writers who attend one or more of the free classes I taught at Chanhassen Library in 2013 and 2014. You enriched our classes with your experiences, insights and observations. And the volunteers for the Six Stages bodysculpt (right) demonstrated spontaneous creativity at its best. Thanks for playing with me! To the hundreds of writers who stopped by my table at the Twin Cities Book Festival to take the Brainy Writer or Creativity quiz. You all kept me happily giving away Fortune Brains, brainy pencils and pink brains for the entire day. To Subtext for hosting the Rewire Your Brain to Write More workshop and to all the writers who showed up to play! Brains flew to everyone who commented, asked questions and shared their responses to the exercises, and that was nearly every writer there. To everyone at the Bloomington Writer’s Festival who stopped by to play the Brainy Writer Game with me and “talk books.” I had so much fun handing out brainy pencils, brain erasers and the Fortune Brain fortunes. To the writers creating a lively and supportive online writer’s community in the Loft Discovering Your Way Around the Writer’s Block class! To StoryStudio in Chicago for hosting a fabulous 4-hour workshop Overcoming Your Writing Resistance and to the Chicago writers who made the day so interesting! I had a feeling the Brain Treasure Hunt would be fun — you all made it a hoot! To an engaging group of writers, painters and teachers at ArtReach in Stillwater MN and to Valley Bookseller for being on hand to sell my book. 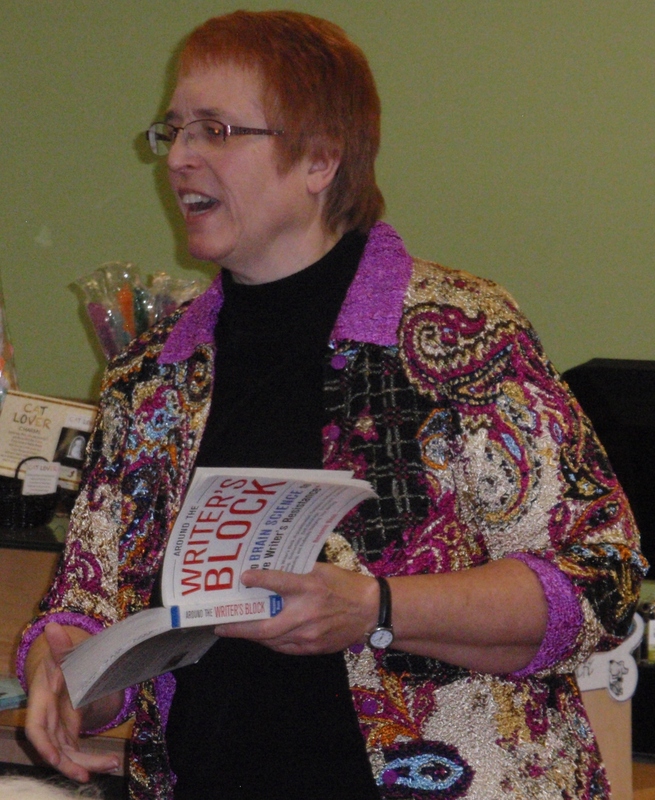 To the fabulous friends and writers who showed up at Common Good Books in St. Paul despite the almost-freezing rain on January 10, 2013 for the Kickstart Your New Year Writing Resolutions at the free writer’s workshop. My adventure getting back to my car after the presentation became the blog post It’s Okay to Slip — Just Don’t Stop! To a great group of writers at Reading Frenzy Bookshop in Zimmerman, MN! Your comments and willingness to share made the free Writer’s Workshop on November 1, 2012 a great learning experience and a whole lot of fun for everyone. To a great group of Iowa writers! 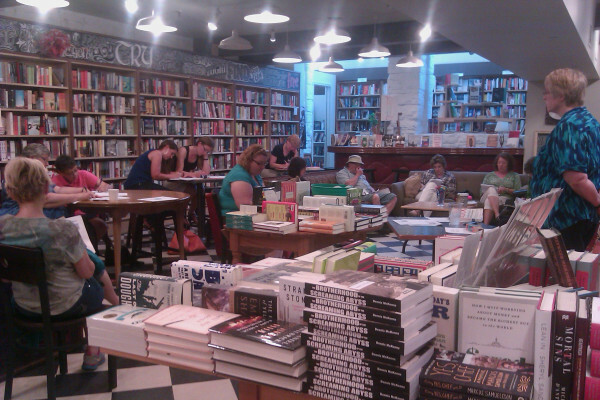 Beaverdale Books in Des Moines, IA sold every copy they had to the participants at the free Writer’s Workshop on Sunday, September 23, 2012. To everyone who celebrated with me at the Launch Party at the Loft Literary Center Photo Album 1 and Photo Album 2. Hi “Yellroy”- you’re welcome! Thanks for reading my book.